Plans for a retro-inspired open-wheel category to feature on the Supercars support bill in 2018 have received a boost. 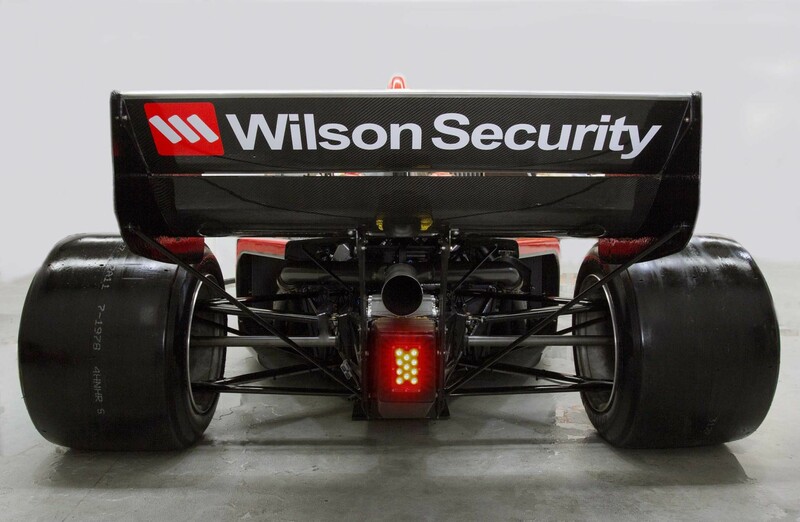 The PAYCE and Wilson Security Super5000, for which the category management rights are owned by Supercars, and Chris Lambden’s Formula Thunder 5000 have joined forces. The parties had previously been working on their own similar categories but have come together following talks instigated by Australian motorsport legend John Bowe. A joint announcement this morning said that work is now underway to develop a single car from the two packages that have been built and tested to date. The Super5000 car features key Supercars running gear including a 5.0 litre V8 engine and Albins transaxle gearbox. “Today the parties that initiated the development and prototype build of the ‘Super5000’ chassis together with FT5000 constructor Chris Lambden have announced that they will work together to develop one car,” read the statement. Lambden made special mention of the influence of Bowe, who starred in both ATCC/Supercars competition and open-wheel racing during his career. Bowe continues to race in the Touring Car Masters, where he is backed by PAYCE and John McMellan’s Wilson Security. “This is the significant step forward which will allow the concept of a modern 5000-style race car and series to actually happen, and happen well, which is what we both started out to do,” said Lambden. “I am more than pleased with the way we have been able to reach this solution, which I happily endorse and support. “I’d like to thank John Bowe who, knowing all the parties involved, organised an initial meeting with John McMellan,” said Lambden. “He then coordinated bringing all the relevant parties together and from there it all came together very quickly and easily. “The one thing that became apparent quite soon was that we all are primarily what I’d call ‘motorsport people’, and our motivation for getting into all this was the same. It didn’t take that long to agree a sensible way forward. Supercars CEO James Warburton welcomed the news but says that Supercars’ position on the open-wheel project is unchanged. “We welcome the parties working together on a concept we believe has great potential,” said Warburton. “Ultimately, we have always said the market will decide if the category is to be successful and, if sufficient entrants and support is foundthe category would be a good addition to our support categories”.